A concentrated foundation with remarkable skincare benefits. 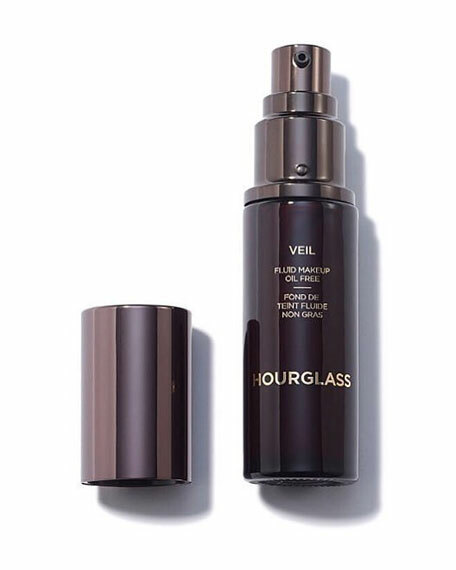 Powered by Matrix Regeneration Complex, an Hourglass proprietary compound, Veil Fluid Makeup targets the visible signs of aging by helping smooth the appearance of wrinkles, and creates a natural radiant complexion. UVA/UVB SPF 15 helps protect skin from the sun. An oil-free and long-wearing foundation that helps defends against the signs of aging. Matrix Regeneration Complex stimulates the skin matrix. This concentrated, serum-like formula is equivalent to an extension of your skincare regimen. The natural radiant finish looks like a second skinas if you're not wearing foundation. Broad spectrum SPF 15 sun protection. Hourglass Matrix Regeneration Complex: The complex helps to smooth the appearance of wrinkles, particularly on the forehead and crow's feet, using a clinical 3% level of Matrixyl® Synthe'6. This ingredient has been shown to restore the skin network by helping reduce the appearance of wrinkle severity. The unique Matrix Regeneration Complex also contains ingredients that offer firming and nourishing benefits. *Matrixyl® Synthe'6 is used under authorization of Sederma, Inc.
"Veil Fluid Makeup is my go-to foundation. 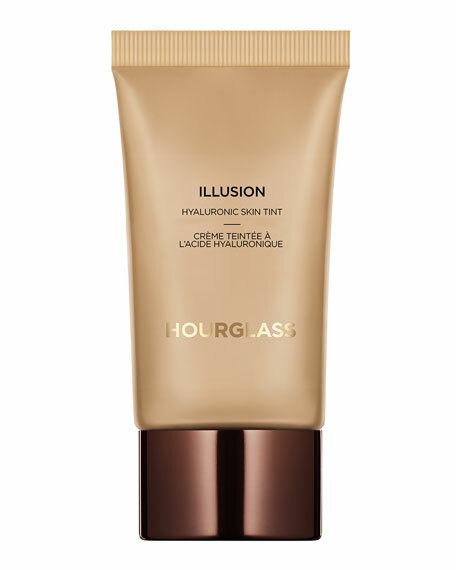 It was the first Hourglass product I developed, and it introduced the idea of using clinical levels of skincare ingredients in makeup. The result is an advanced foundation which helps turn back the clock." 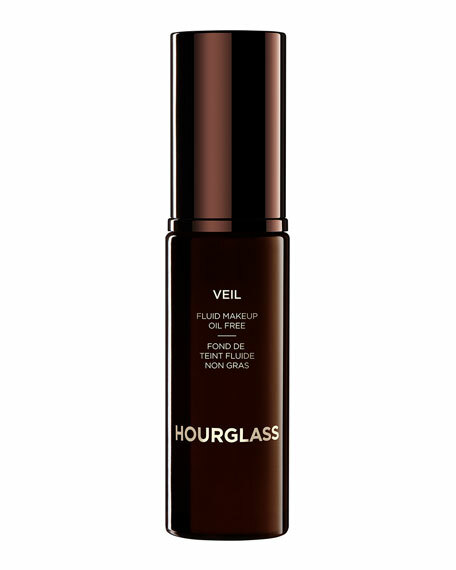 Prep complexion with Hourglass Veil Mineral Primer or Hourglass No. 28 Primer Serum. Apply 1 pump of Veil Fluid Makeup to the back of hand. Using the Hourglass N° 2 Foundation Brush, Hourglass No. 7 Finishing Brush, or fingertips, apply product to the forehead, cheeks, and chin. 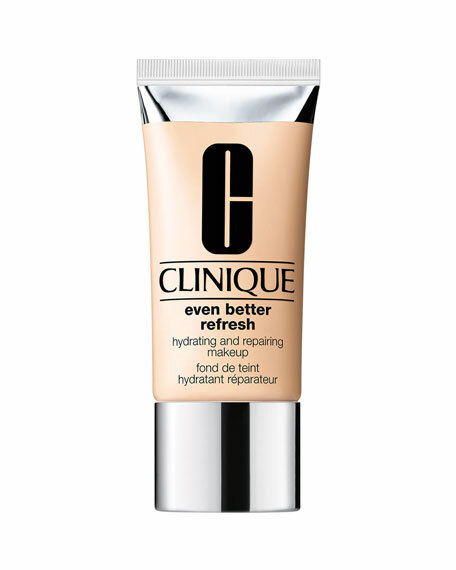 Distribute the product evenly and gently buff into the skin using light, circular strokes. Build until the desired level of coverage is achieved.